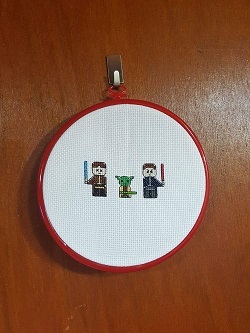 Cross stitch is back! 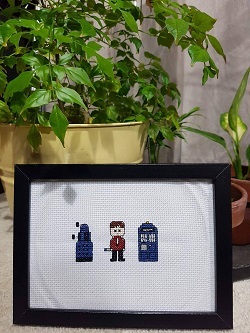 Join our short workshop where you’ll learn the basics as you stitch a trio of figures from pop culture: Harry Potter, Star Wars or Dr Who. All materials provided. If you’ve ever wanted to cross stitch but didn’t know where to start or couldn’t find a pattern that you liked, then this workshop is for you. 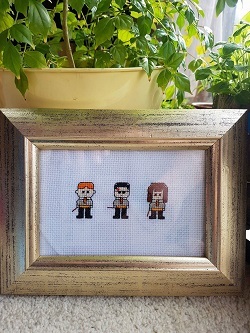 Come along and be taught the basics of cross stitching with all the material (including a pop-culture pattern: Harry Potter Crew, Star Wars or Dr Who) included. The tutor will provide assistance throughout the class and a helpful Facebook page post-class will help with any questions you have on your cross stitching journey. Suitable both for absolute beginners as well as those who’ve tried before and given up. All materials included but bring a box to take them home.